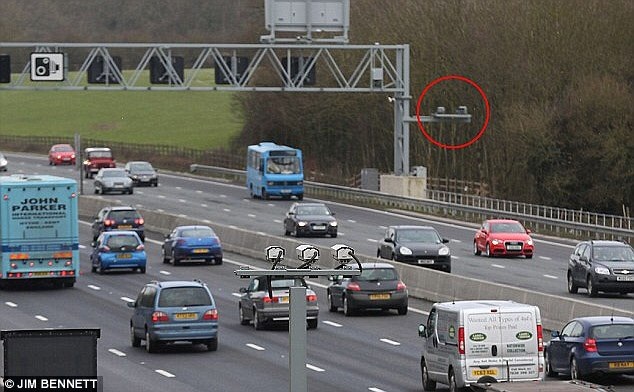 Speed cameras – should Labour be exchanging our safety for a few votes? Between 1998 and 2009, during the last a Labour government, the quantity of traffic rose by 15%, but there was a 44% drop in serious deaths and injuries. Here is another statistic – the first speed camera was installed in 1992, and in that year there were 4,229 deaths on British roads. In 2013, after 21 years, there were 1,713. The government campaign to install speed cameras, use an information campaign in the media about speeding, and raise the punishments for speeding have done for speeding what the massive Government campaign in the 1980s to raise awareness of consequences for the problems of drink driving did. It has made it socially unacceptable. It has also made it acceptable to say that you will only complain about speed cameras if you are prone to speeding. The many people who have chosen to go on ‘speed awareness’ courses as an option instead of having points on their licence have come back normally as supporters of speed cameras for a reason. Yet, Labour, in the persona of Shadow Transport Secretary Michael Dugher, have decided that there are votes in attacking speed cameras. In response to the proliferation over the last few years of difficult-to-spot grey speed cameras perched high above motorways, Dugher has proclaimed that Labour would put an end to ‘stealth speed cameras’. He argues that speed cameras should be about stopping accidents and changing driving behaviour, not just being a ‘cash cow’ for local government. As part of this, Dugher has also apparently promised to turn off thousands of speed cameras, retaining only those on serious accident blackspots. Ross Clark in the Times compares this to the old days where the Department of Transport apparently had a “four corpse” rule, where they didn’t take any action about an accident blackspot until that stretch of road had seen four deaths. The whole point of speed cameras is to stop fatal accidents, not respond to them. Clark goes on to mention the experience of Oxford City Council. In 2010 they switched off all 161 speed cameras in the city to great fanfare. Eight months later, after a 50% rise in deaths and a 12% rise in serious injuries, the speed cameras were back, quietly. I happen to use that case study in the very first data response that my lower sixth get when they start Economics A-level. They get the data on speed camera revenue, accidents before and after their installation, and quotes from people for and against speed cameras, and I ask them to evaluate whether speed cameras should be used. They don’t need to understand many economic theories or concepts to see the case for them. The data is as balanced as it could possibly be, but the holes in the arguments against speed cameras are apparent even to an economic novice. Michael Dugher is no novice. He is a classic Labour politican, who studied politics at University then worked his way up to being Chief political spokesman for Gordon Brown before entering Parliament. So he knows his politics. This is why he can see that a policy that appeals to the rather militant motorist lobby and also to the same white van man that his colleague Emily Thornberry allegedly sneered at during the Rochester and Strood by-election is a politically good idea. But, as Clark points out, why not insist instead that every penny from speed cameras be spent on repairing pot holes in the road? Why risk our lives to win a few votes? Labour may live to regret this one.